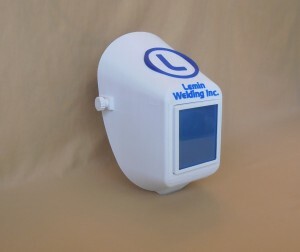 This is a 2/3 scale model of a welding helmet, with the company name and logo of Lemin Welding Inc. 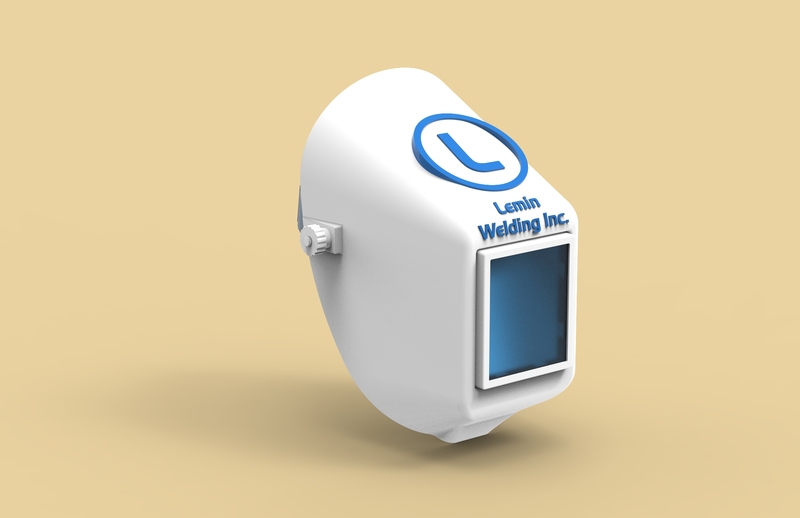 The head band pivots inside the helmet shell, as it would in an actual full size welding helmet. 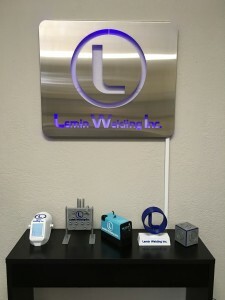 Here are some images of the actual 3D printed 2/3 scale model. 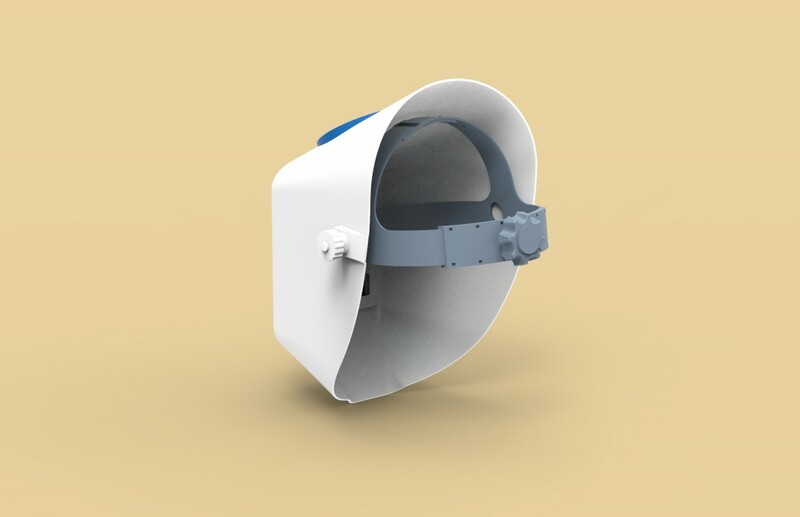 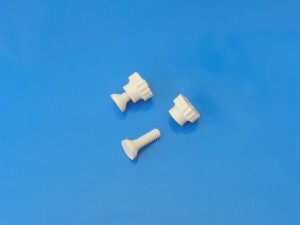 The headband installation hardware utilizes pivot screws and thumb nuts that are 3D printed with standard 1/4-20 threads, that can be loosened and re-tightened to change the position of the headband. 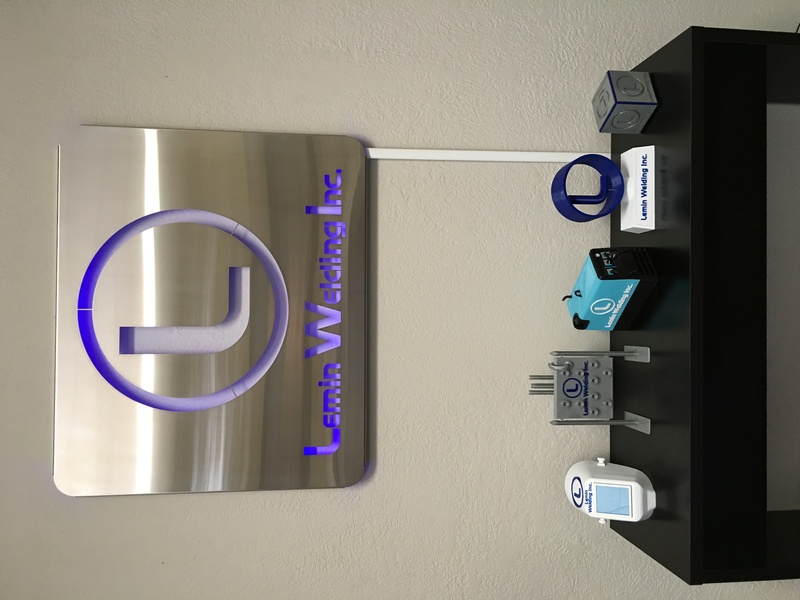 Here is a picture of the Welding Helmet scale model on display in the lobby of the Leming Welding Inc. offices, along with other display models that we have designed and printed for them. 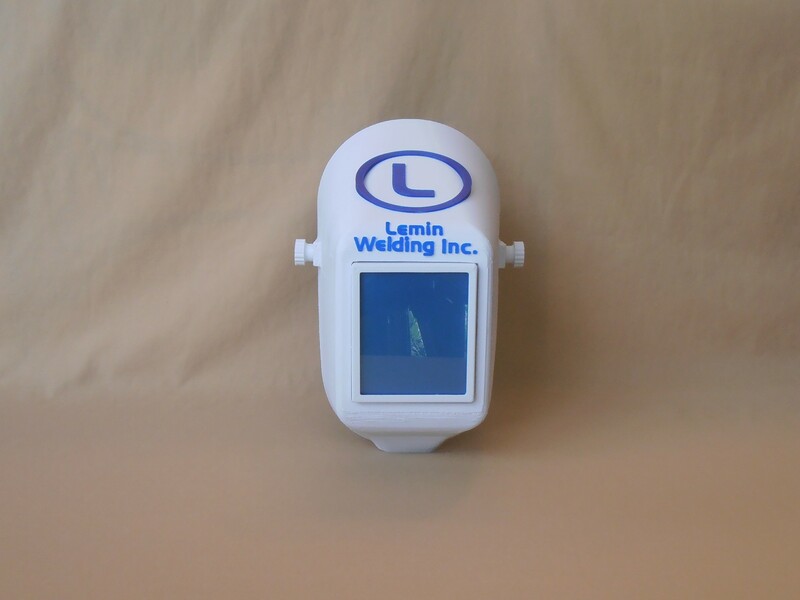 Click on this link to visit the Lemin Welding Inc. homepage to find out more about their services, product lines.